I’ve always been in front of a crowd, as a Comedian, MC, Actor and Singer for the past 20 years. In my younger years I worked in theatre restaurants as a Singer and Actor and over the past 10 years I have found my passion in writing. I write anything from stand up to screen plays and i’ve got notes spread around our house with ideas on them. As soon as I am inspired I have to write or I forget. As you can imagine my wife loves finding them. What I knew about weddings before I was a celebrant you could write on the back of a napkin. I was at that age when all my friends were getting married and started to attend some beautiful weddings at all different locations. From beaches to the hinterland and overseas all the while, there was a constant all of my friends were using celebrants compared to religious ministers. I thought what a fantastic job, to be apart of something that’s the beginning of life as one to be able to help guide and tell a couples story. After being married myself I found it to a be the best day of my life not just for me but all my friends and family I knew then that I wanted to be involved in weddings. Where else can you go to work everyday knowing that your going to be involved in changing peoples lives. One of the best parts of this new gig for me is helping the groom through the nerves when he’s waiting on his bride. I’m a out going guy, but on my wedding day I was shitting myself. I have no idea why, but I have found it to be a constant with most grooms. When I am there with them I like to crack a few jokes, calm the nerves so he can relax a little and enjoy the moment. Married now with two beautiful little boys life does start to move very quickly after you say “I Do”, but all for positive reasons. You actually get to spend the rest of your life with your best friend. I feel like I have found my calling, it’s pretty cool to be apart of something so special and unique in peoples lives. It’s pretty crazy going from doing comedy skits to a celebrant but I really do love it. I’ve worked with some amazing organisations like Make a Wish Foundation, Shave for a Cure, Walk for Sean and many others as a Comedian and MC. I’ve also MC’d for some of Gold Coast’s most prestigious wedding events such as The Wedding Harvest and A Darling Affair. I am appreciative about how global we have become, it allows me to connect with couples from all around the world. To me, your celebrant shouldn’t be who lives the closest to your wedding destination, it should be about who you connect with. I am lucky enough that I get to travel around Australia and the world to turn couples dreams into a reality. I live on the Northern NSW/QLD border, Tweed Heads to be exact. It’s pretty perfect, a hour from the city and 20mins to the country, but the best part is I’m a stones throw to the beach. Surfing is my life, there is something cleansing about being in the ocean. "A M A Z I N G ! fun and friendly celebrant !! I highly recommend Shane he is an asset to any wedding !!!" "James we are so glad we found you! Thank you for doing such a fantastic job as our Wedding Celebrant. Not only were you easy to talk to and helpful before the wedding when initially discussing our ceremony, but you also made us both feel really relaxed on the day. Your friendliness and flexibility was so much appreciated. 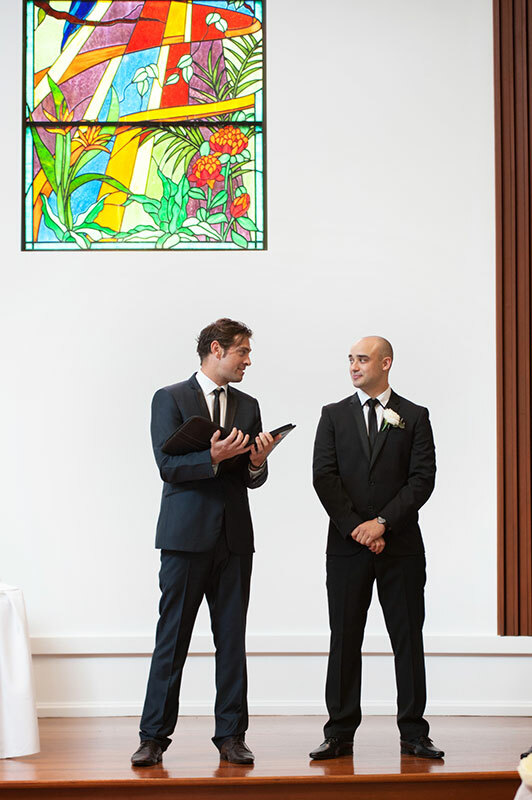 Thank you for making our ceremony exactly how we wanted, with the perfect balance of formality, humour and sincerity. We would recommend you a thousand times over and wish you all the best in your career as a celebrant."